Dubrovnik is a spot that’s made it’s way into my stream of consciousness over and over for several years now. I knew it was supposed to be cool and because of that I was excited to check it out – but I didn’t come close to realizing just how cool. I really think Dubrovnik (and Croatia in general – check out my post on stunning coastal Hvar here) is one of the most incredible, beautiful, and unique places I’ve ever traveled to. The pristine natural beauty of the mountains and water mixed with the perfectly preserved medieval old city was breathtaking. I loved the juxtaposition of the 13th century buildings mixed with ultra modern restaurants, hotels, and spas. The only downside was that I was on crutches, which halted some of the wandering I would have loved to have done. Dubrovnik is built on the side of a mountain and I dare you to find a city with more stairs… so beware if you have a stroller or need handicap access, but that’s a big part of what makes the city so cool and unique! Interesting fact: Game of Thrones is filmed here, so if you’re a fan you’ll recognize the landmarks. Marco Polo (nice but casual) – This quaint restaurant is tucked into old town and offered us amazing hospitality and service on our first night there. Great local wine and cuisine in a cozy setting. Loved this spot. Villa Dubrovnik (fancy) – This might have been my favorite meal of the trip. Not only was the food incredible – everything from single entrees to a tasting menu of all types of fresh seafood and native cuisine – but the views were magnificent and right on the water. We dined at sunset and our waiter was probably (deservedly) annoyed at how many photos/snapchats we were taking. These Croatian dinner views can’t be beat! Restoran Dubrovnik – Another incredible restaurant in the heart of old town. We dined upstairs where they have a retractable roof so you can take in all of the beautiful 13th century buildings. The staff here was beyond accommodating and I would love to transport this chic spot to Nashville and dine there on the regular. Nautika – Ok, where do I even begin? This place is something special – located right on the water and decorated like the cover of an Elle Decor. They brought my drink on a bed of rose petals and inside a birdcage and Whitney’s included a spritz of blood orange essence out of a vintage perfume bottle upon arrival prompting us to obnoxiously state things like, “from now on, if my drink doesn’t come in a birdcage, I won’t drink it!” We also noshed on beautiful fruit and homemade chocolate which is some of the best I’ve ever had. (Why doesn’t all chocolate come with orange peel and cranberries in it?!) We also enjoyed chatting with the general manager who was so knowledgable about the area and such a nice guy – a very Croatian way to be we found out. Banje Beach – This day club is definitely quite the party experience, almost reminiscent of a Las Vegas pool. Rent a day bed right on the beach and get champagne and burgers delivered to you all day… because that’s what everyone does, right?! Great people watching – I have to say, the European motto on swimsuits is the smaller the better… and everyone looks amazing. #MoreEuroGoals I also took numerous dips in the Adriatic Sea to cool off and let me just say for the 900th time how amazing that water is. Popping bottles on the Adriatic – I’d like to do that again! Buza Bar – While this place is a pretty basic bar, they make up for it with their literal hanging off a cliffside ocean views. Getting a table is hard, but worth the elbowing. Don’t expect fancy drinks – your standard mixed drinks or cheap wine, but wow those views. Wow. More stunning Croatian views – from literally off the side of a cliff. Villa Dubrovnik Spa – After having two full 24 hour days of travel, I went for a 2 hour spa treatment/massage and it did not disappoint. I was scrubbed, oiled, massaged, etc. into a state of deep relaxation. Cable Car – For I think $8 the cable car will take you up to a stunning view of all of Dubrovnik and the water. Whitney and I had breakfast and read at Restaurant Panorama and every time i go back and look at my photos I’m in awe of this stunning place. A very unique view and experience. Not your average breakfast view! City Center Dance Party – Somehow Whitney and I accidentally wandered into a dance party in the streets walking home from dinner one night complete with lights, a dj, and an accordion player playing along to Rihanna’s “We Found Love.” We danced until we were sweaty in the mix of young and old (me using my crutches as a dramatic prop, of course!). So glad we happened upon that – you never know what you’re going to find in Durbovnik! This entry was posted in Travel and tagged Banje Beach, Buza Bar, Croatia, Dubrovnik, Dubrovnik Travel GUide, Ladi Pipi, Marco Polo, Nautika, Restoran Dubrovnik, VIlla Dubrovnik Spa on September 20, 2016 by Brenna. I recently returned home from a dream trip of 23 days abroad – Zambia, Africa, Hvar and Dubrovnik, Croatia, and Reims and Paris, France. I’m excited to start sharing some of my adventures and suggestions here. The trip was conceptualized in January when I was writing down my new year’s resolutions. I wrote that I wanted to live abroad for a month and low and behold it pretty much happened! (There’s something to writing your goals down, I have to say.) I also wrote that I wanted to go on a mission trip – who would have thought that I would be combining both into such a grand adventure?! I started in Zambia on a mission trip with Every Orphan’s Hope (I’m working on a post about that trip, but it’s turning into a novel, so more to come on that later!) and my plan was to meet up with my friend Whitney of Blonde Atlas in Istanbul, Turkey. It was going to be a relatively short and cheap flight from Zambia and we had the most fab itinerary planned including luxury accommodations, turkish baths, etc. etc. etc. Everything was booked and paid for… and then attacks and an attempted coup happened… No refunds from any of our flights (grrrr) but we decided the risk wasn’t worth it so we hurriedly tried to make a plan B. Our second spot was already going to be Dubrovnik, so we decided to start in Hvar which is within ferrying distance to Dubrovnik. Located in the Dalmation Islands, Hvar is the epitome of relaxation, glamour, and pristine natural sights. We were also so pleased about how safe Croatia is, how nice the people there were (and gorgeous… I don’t think I’ve ever seen so many beautiful people! ), not to mention that almost everyone there speaks perfect English, making everything extra easy. Oh, and once you’re there, Croatia is relatively inexpensive in general. Score -I always love ballin’ on a budget! This hotel is the perfect mix of reasonably priced while still being fashionable, young, and fun. The staff were so wonderful and helped us book all of our transfers to and from our ferry rides – even going out of their way to drive me extra distances and get me to the front of lines because I was on crutches. There is an included breakfast that puts any US continental breakfast I’ve ever seen to shame – made to order omelets, gourmet coffees, a huge spread of fruit, pastries, meats, cheeses, yogurt, granola, etc. Most rooms will also have a beautiful view of the water and it is within walking distance of almost anything you could want to do in Hvar. There is also air conditioning in the rooms which can be a luxury in Europe in the summer! Enjoying a poolside cocktail at the great bar that’s at Pharos. Outfit details here! I lugged this beauty all around Africa and Europe and it came home looking better than when I started. I love a great leather bag! She loved posing in the Pharos lobby. 😉 Get your own here! DiVino Restaurant (fancy) – amazing food and great service with even better views. Truly one of the most beautiful views I have ever ever ever ever ever had at a restaurant. Watch the yachts sail in and out of the harbor and take in the castle at the top of the mountain… I love you Hvar. San Marco Restaurant at the Palace Hvar (nice but more casual) – incredible Mediterranean cuisine very reminiscent of some of the most wonderful meals I’ve eaten in Italy, which is saying a lot. The patio here also has beautiful views of the ocean/harbor. Hvar Tours Half Day Wine Tour – As we were researching places we could go/things we could do, I must admit I was surprised to read that lots of Croatian wine and olive oil were highly rated. We decided our trip wouldn’t be complete without tasting some of it and I’m so glad we did! Whitney and I both thought the wine was so tasty while also being unique and interesting. The Croatians take so much pride in using only their own grapes and recreating ancient varieties. We so enjoyed this day that also included a beautiful drive over the mountain in the middle of the island. Our guide was so knowledgable and so much fun. Anyone who knows me knows that obviously I bought some of both because no international trip I’ve ever taken would be complete without numerous breakable, heavy, glass items figure out how to pack in my suitcase. Hvar Tours Vis Day Tour – This was actually one of my favorite activities of the entire 23 days abroad. The water in Croatia is the most clean and beautiful water I have ever seen in my entire life. It’s aqua colored and you can see all the way to the bottom – even in the harbor where water is usually pretty disgusting. My enthusiasm for this day doesn’t lack – even with some of the day being rained out. What we got to see was so beautiful it outweighed any bad weather we experienced. I cannot recommend this tour enough. If When I go back to Hvar, I would actually consider doing boat tours multiple days – seeing as many of these beautiful little islands as possible is a must. As I stated above, Croatians could not be more friendly or accommodating. We chatted with so many nice and interesting people. This is also a place where you will feel completely safe which was a nice and unexpected feeling, especially given all of the travel warnings right now in Europe. Hvar is known as a party island for Europe’s glitterati and we were told about several events/parties/clubs that sounded fun (including a private island nearby!) but alas I was exhausted from Africa and Whitney was exhausted from her prior 13 days in Italy (#1stworldprobs) and we went to bed each night earlier than any Grandma on the island which goes to show that this island is also great for relaxation. Looking around I noticed a lot of young people in addition to families and older people. Hvar can offer anything you’re looking for – nightlife, family time, relaxation, outdoor activities, etc. I’m so glad our itinerary worked out the way it did – it was nice to feel completely safe and this little Croatian island had big impact. This is a spot I’ll be looking forward to going back to. This entry was posted in Travel, Uncategorized and tagged #pharosvibes, Croatian Vacation, divino restaurant, Hvar Croatia, Hvar Tours, Hvar Tours Half day wine tour, hvar tours vis day tour, Pharos Hvar Bayhill Hotel on September 15, 2016 by Brenna. Last week I had the pleasure of combining my wanderlust mentality with the idea that there’s no place like home. A #SquadGetaway staycation was just what the doctor ordered for the end of my busiest season and the start of summer. My friend Whitney and I had just had a conversation about how we treat our time traveling so much differently than time in our own city – even though Nashville has become one of the top destinations in the United States. We vowed to take in and appreciate all of the unique attractions that our city has to offer and we gathered up our other pals Taryn and Victoria for a staycation that even T. Swift and her #squad of galentines would approve of. We left for dinner and bowling at Pinewood Social which is one of my favorite downtown spots slightly off the lower Broadway beaten path that might be unknown to Nashville visitors. (Remember my last post about Pinewood Social when they opened their patio/pool area for the first time?) Pinewood is ideal for literally anything. I have been known to come in in the morning to grab coffee (some of the best in town – I like mine with their house made almond/coconut milk), breakfast, and do some work from my laptop. Things on toast is a must order! You can also dine in the dining room, from the bowling alley, or in the seclusion of a private room at practically any AM or PM hours. From Pinewood, we hit lower Broad heading to my favorite honky tonk, Robert’s Western World for some dancing. Roberts has my favorite downtown vibes – old school country swing, all kinds of dance partner options – mostly who look and act like your grandpa (aka total gentlemen) to dance with, fried baloney sandwiches, and a crowd that ranges from local to international visitors. After dancing the night away we headed back to the hotel where I practically fell into a coma because those beds are heaven. In fact, the beds make a great place to work – see fellow travel blogger Blonde Atlas getting after it first thing in the morning. The next morning I woke up so excited for breakfast – if you read this blog often, you probably know that I drink a green juice or smoothie for breakfast almost every single day. HOWEVER, there is this part of me that feels at liberty to eat whatever I want while on vacation, so it was absolutely essential that we start day 2 of our #squadgetaway staycation with donuts from 5 Daughters Bakery. We tried a little of everything – a paleo Blueberry Lemon, a 100 layer strawberry (my favorite! ), and a cinnamon roll. All so good – I can’t justify this breakfast often, but I will be taking any and all Nashville visitors to this little local gem. We followed breakfast with some shopping down 12th South – where there are so many great shops no matter your style. Lunch was at one of my new local favorites (I’ve literally been 3 times in the past week!) BarTaco. I love a spot where I can get something healthy or splurge and this place offers all of those options. The chopped salad, guacamole, and cauliflower, ribeye, and duck tacos are my favorite menu items and the sanguina cocktail might literally be my favorite cocktail of all time. BarTaco uses all fresh squeezed juices which makes them taste so fresh and I’m telling myself that I’m getting some nutritional benefit from each cocktail I drink. Sidenote: All of the servers here are good looking – is that a prerequisite for getting hired?! How legit is this before and after? We were feeling refreshed just in time for our tour of City Winery complete with a tasting – a perfect outing for squads. City Winery is also a great place to have dinner or take in a show. However, a stay at the Loews isn’t complete without dinner at Mason’s. I suggest starting with a cocktail in the bar and then moving to the dining room for dinner. You would never believe that this is a personal trainer approved skinny cocktail. Tequila, fresh pomegranate, and rosemary – so good. We enjoyed the greatest service and suggestions from our server, Charles and ate so much incredible food I wanted to pop. The menu offers great suggestions ranging from personal trainer approved options (look for the barbell on the menu) to modern Southern delicacies like the most delicious grits I’ve ever had in my life. The meal was also perfectly paced for us as we did the full treatment – appetizers, salads, entrees, and desserts. Whether you are a local or someone visiting Nashville for the first time, I can ensure that taking part in some of all of this #SquadGetaway itinerary will lead to an awesome time. Please feel free to leave your questions and comments below. Where would you go for a #SquadGetaway? This entry was posted in Travel and tagged #LoewsVanderbilt, #squadGetaway, #SquadGetaway #travelforreal #loewsVanderbilt, #travelforreal, Acme Feed and Seed, BarTaco Nashville, City Winery, Draper James, Five Daughters Bakery, Mason's Nashville, Pinewood Social, Ryan Beaver, The Basement, The Dry House Nashville on May 18, 2016 by Brenna. Where has the city of San Diego been all my life?! I went for the first time this past fall for work and absolutely fell in LOVE. I knew I would be coming back in February, so I recruited my best friend/roommate/wife Taryn to go with me and once again, it did NOT disappoint. I’m gonna go ahead and deem it one of the most magical US cities. There are so many cool pockets of the city to explore, so we decided to make our way up the coast. We started in downtown San Diego in the Gaslamp District and stayed at the beautiful and historic US Grant. The Gaslamp district is such a fun part of town to stay in – there are so many great restaurants, bars, theaters, and water within walking distance. We flew in on Superbowl Sunday and accidentally found the cutest restaurant/bar with the greatest menu (and $10 bottles of champagne) to hang out in called The Local San Diego. (Right across the street from our hotel). We had the perfect Sunday Funday/Superbowl combination – something my bestie Vivek and I have affectionately titled #NachosandChamps. The crowd hanging out here was also so nice and laid back. We made lots of friends – including sharing some skittles with our bartender. There were also so many other things on the menu I wanted to try like carnitas chilaquiles, croissant french toast, street fries, chicken bomb mi, churro waffles with dulce de leche, etc… It was also a beautiful day and they had their entire wall of garage doors opened. Our hotel was also located across the street from the historic Balboa Theater where by happenstance the Dancing With The Stars Tour was playing. We finagled ourselves some orchestra streets and enjoyed the show was probably the youngest people in the audience. 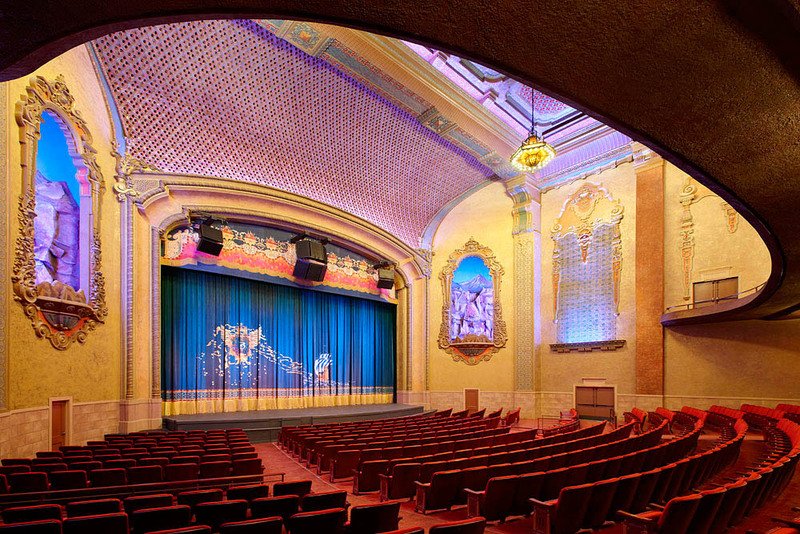 #hatersgonnahate The theater is definitely worth seeing – so stunning! 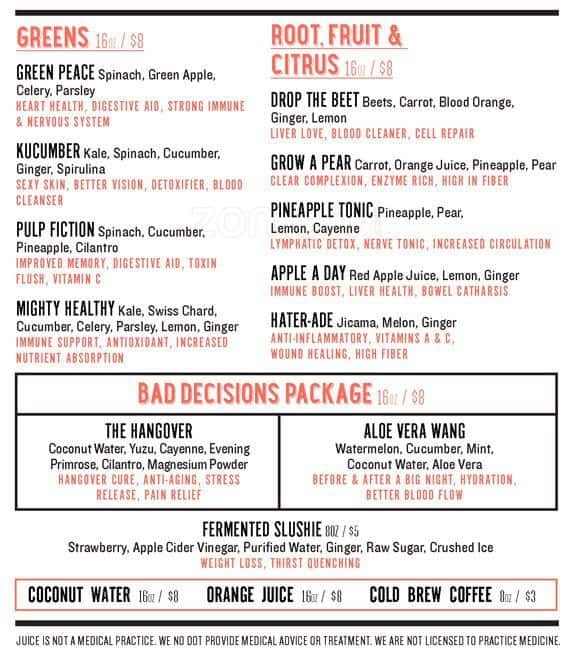 I’m also the queen of finding juice bars in every town/city I come to and I came across one of my favorites ever – a place called Juice Saves. I went both mornings I was there and had a $20 all liquid breakfast both times – the Kukumber and some sort of superfood infused cocoa cold brew coffee. Worth ittttt. Already can’t wait to head back to this beautiful place. Stay tuned for a recap of La Jolla and Del Mar next week. This entry was posted in Travel and tagged Gaslamp District, Juice Saves, San Diego, The Balboa Theater, The Local San Diego, The US Grant on March 2, 2016 by Brenna.